This entry was posted on March 15, 2009 at 5:44 am and is filed under Animal, Reptile. You can follow any responses to this entry through the RSS 2.0 feed. You can leave a response, or trackback from your own site. I’m afraid your page on tuatara is littered with myths and outdated half-truths. I wouldn’t trust everything you read on Wikipedia. For example, Sphenodon certainly does possess real teeth and this has been known for over a hundred years (e.g. Howes and Swinnerton 1901; Kieser et al. 2009). Histological examination shows they they do possess enamel (although thin), dentine, and pulp cavities. What causes confusion is that the teeth are fused onto the jaw bone so that the boundary between tooth and jaw bone is very difficult to discern but there ARE teeth nonetheless (Jones et al. 2009). This is a specialised feature and certainly not primitive (Whiteside 1986; Jones 2008). 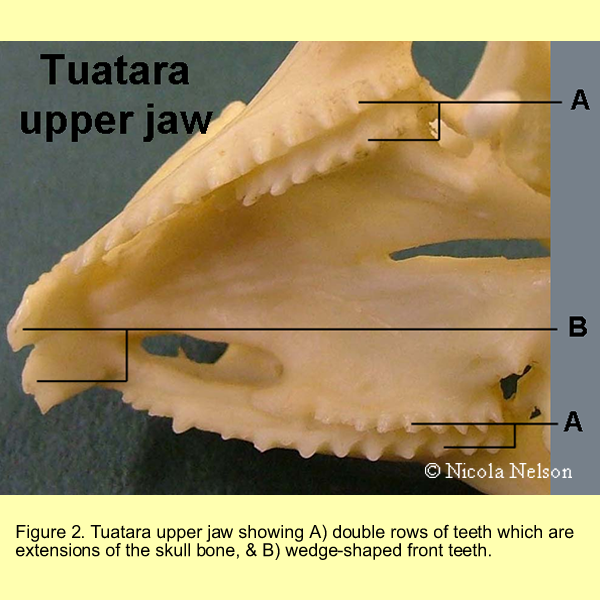 Also the statement “tuataras possibly have the most primitive skulls of all the amniotes (turtle skulls might be more primitive), with all the original amniote features preserved.” is also not helpful. The lower temporal bar which forms the lower boundary of the lower temporal fenestra has been secondarily acquired. This has been known for 25 years (Whiteside 1986; Evans 2003; Jones 2008) but text books and websites constantly overlooked it for some bizzare reason. Moreover, Sphenodon possess a number of specialised features which you completely ignore including a complex arrangement of tooth rows and sophisticated shearing system (Evans 1980; Whiteside 1986; Evans 2003; Jones 2008; Jones et al. 2009). # Evans E 1980. The skull of a new eosuchian reptile from the Lower Jurassic of South Wales. Zool. J. Linn. Soc. 70: 203–264. of the skeleton of the Tuatara, Sphenodon punctatus; with remarks on the egg, on the hatchling, and on the hatched young. Transactions of the Zoological Society of London, 16:1-86. # Jones MEH, Curtis N, O’Higgins P, Fagan M, Evans SE. 2009. 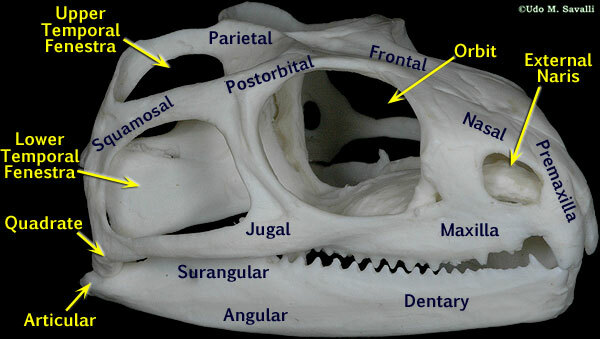 Head and neck muscles associated with feeding in Sphenodon (Reptilia: Lepidsauria: Rhynchocephalia). Palaeontologia Electronica 12 (2, 7A): 1–56. # Kieser JA, Tkatchenko T, Dean MC, Jones MEH, Duncan W, Nelson NJ. 2009. Microstructure of dental hard tissue and bone in the tuatara dentary, Sphenodon punctatus (Diapsida: Lepidosauria: Rhynchocephalia). In Koppe T, Meyer G, Alt KW, eds. Interdisciplinary Dental Morphology, Frontiers of Oral Biology (vol 13). Griefswald, Germany; Karger. 80-85. Thanks for the info. I have to admit that I’m no expert at this stuff, I just think these things are cool. I’ll take your word that the things you’re telling me are correct and update my post, since I’d love to help break the chain of misinformation that’s apparently on the net right now.